I am sorry to hear you are feeling unhappy at the moment. It is completely normal to feel these emotions of loneliness and sadness. But what you have to do is not let these feelings get the better of you. You have to stay strong and always remind yourself of the positive things you have achieved. the person standing next to us. As hard as it may be, try to overcome those feelings thinking you are fat. Every person, even non-dancers, get bothered about their body, but these negative thoughts do nothing but bring you self-esteem down even further. Body image as a dancer is a very conscious element, but dancers have to remember they are also athletes. You have to be strong and lean with a considerable amount of energy. Have a healthy, balanced diet full of nutritious foods with plenty of fruit and vegetables. Eating complex carbohydrates such as jacket potatoes, pasta and brown bread are good at supplying energy and keeping you fuller for longer. Drink plenty of water, aim to drink 2 litres a day. Green tea is very good for you too. 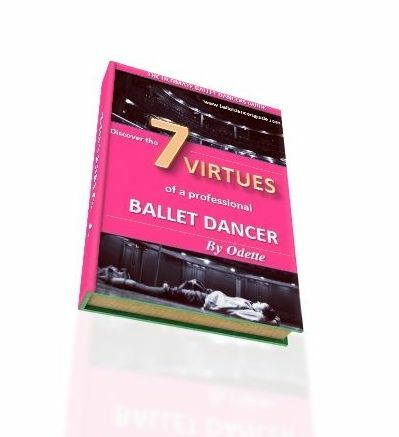 A healthy diet combined with good exercise can keep you in fine shape for classical ballet. It is not fair that your friends are saying such hurtful things to you, but you have to stay strong and not let their words affect you. Just ignore their immature comments and they will soon tire out and move to pick on someone else. Perhaps they are doing it because they are jealous of you? So, do not let them win but let it spur you on to be more determined. As for the summer program and boarding situation, try talking to your mother and explain your excitement to go on the course. How do you feel about boarding? If you feel confident that you will be ok and not too homesick, then reassure your mom that you are prepared to board. However, if your mom says no then try not to be too disheartened. Think about how great it is that you even got accepted on the course! This is a great achievement! There will be more opportunities, so do not worry. I am always here to answer your worrries, so do not feel alone. Keep positive and treasure those seven secrets!